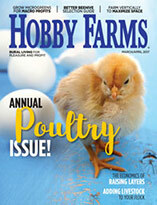 Feather loss in chickens could be a sign of molting or a more dangerous condition. Learn how to tell the difference with these cues. 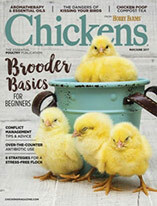 Many backyard chicken owners assume their chickens are molting when the birds lose their feathers, yet it’s wise to look at other reasons for feather loss as well. It can be difficult to tell if backyard chickens are in molt, because many of them molt at different times and in different ways. Some lose their feathers a little at a time and grow them back a little at a time. Some lose all their feathers and stay naked for four or five months. If you can rule out everything else, then you can blame the feather loss on molt. If feather loss is flock-wide, and all of your chickens have lost their feathers, diseases such as parasites or fowl pox could be the cause. Chickens can be infested with lice, mites and fleas. Lice have to live on the body, so look for lice at the base of the feathers. Fleas and mites don’t have to stay on the body. Red mites, for instance, will feed during the night and hide during the day. You will see a powder puff—it looks like white cotton—on barn floors or walls where the mites hide. If you can’t see parasites on the chicken, look for signs of damage, such as scratches and bite-like lesions on the skin. You can part the feathers and look for parasite feces, or “dirt,” usually around the belly or the tail. 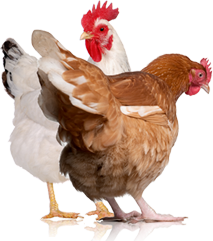 If parasites are your problem, clean the coop and remove any cobwebs, and then treat the coop and the birds with a poultry insecticide dust or spray. Fowl pox looks like pimples—big angry ones with bleeding and scabbing. It’s usually on the unfeathered portions of the skin—face, vent, sometimes where the unfeathered portion of the leg joins the feathered portion. There is no treatment for fowl pox, as it is a viral disease. The lesions can be kept clean and free of flies if they are in a sensitive area such as around the eyes. Fowl pox can be prevented by vaccination. One more cause of flock-wide feather loss is a significant reduction in protein intake or a change of diet. Feathers and their point of origin, follicles, rely on high protein. Flock nutrition is crucial to plumage health. If the feather loss is in some birds and not others, it’s most likely feather-pecking. Chickens, by nature, are aggressive to other chickens, no matter their space or housing. The closer the breed is to the original jungle fowl, the more aggressive the birds. A chicken exerts its dominance by getting on the back of another chicken, grabbing the neck and back feathers with its beak, and removing feathers with its toenails. This is also the way that roosters mate with hens. If the skin isn’t broken and you aren’t too upset by the feather loss, you can just let it go. If the skin is damaged or you want the pecking to stop, tree-pruning sealer works great. It acts as a second skin while the feathers grow back and the skin heals. It’s cheap and can be found at any garden center or hardware store. Because the tissue under the skin or damaged skin is moist, you might have to layer it on pretty heavily. It will stain your skin and your clothing, so wear old clothes. The other benefit is that the sealer is black, and chickens aren’t attracted to black. But if a chicken does peck, the sealer will stain its beak, and you’ll find the aggressor in your coop. Blinders work very well for stopping aggression. Available at poultry suppliers, blinders sit on the bird’s nose and are secured by a pin that goes through the nares (nasal holes), from one side to the other. The nasal septum is really thin in a bird, so it’s not painful. The blinders are red, and the color makes the birds less aggressive.